Tag Archive | "social media consutant"
What James Bond and Social Media Expert have in common? "Knowing what intelligence to gather and who to target is at the heart of everything we do at MI6." I think this phrase should be written in capital letters on every social media practitioner’s notebook as it seems too often people in social media forget why they are doing what they are doing. A good research (or as we call it "listening" process) and knowing how to apply that research is at the heart of social media and marketing in general. Furthermore, identifying your stakeholders and knowing for what kind of people/companies you are looking for while doing the social research is vital for a successful social media campaign too. If you just simply start following/friending everyone you just waste your time and opportunity to talk with your target market. What are your competitors doing on social networks – in order to find out how to differentiate yourself. What are your possible partners (from related services) doing on social networks – in order to get referrals. 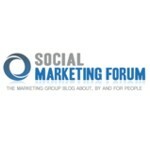 What are your consumers doing on social networks – in order to find out their wants and needs.